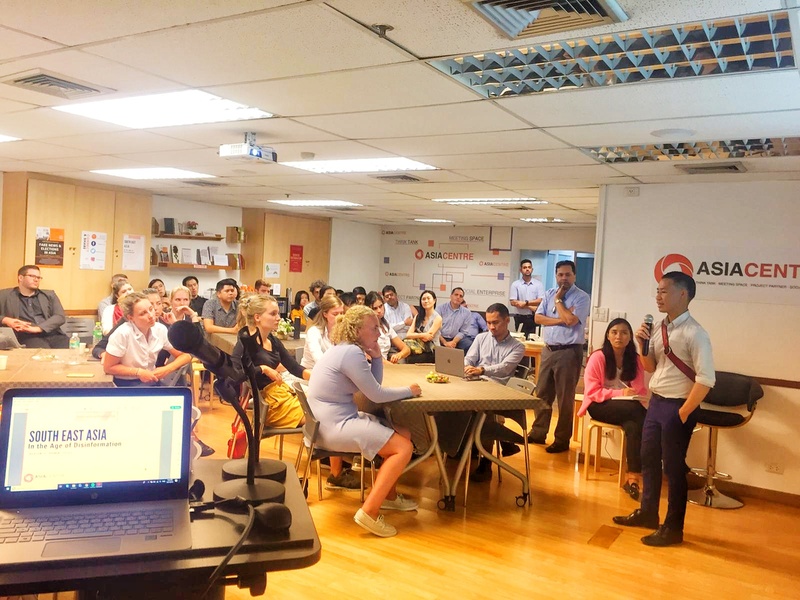 On 21 March 2019, Asia Centre and Stenden Thailand co-hosted the fifth International Faculty Club which focused on Southeast Asia in the Age of Disinformation. In Southeast Asia, there are more than 400 million Internet users. Since January 2019, internet penetration is 63% and social media penetration is 61%. These numbers show that people increasingly consume media on digital media and social media platforms, instead of traditional media. As content creation on social media is immediate and not subject to regulations, it can easily be used to spread fake news and disinformation. 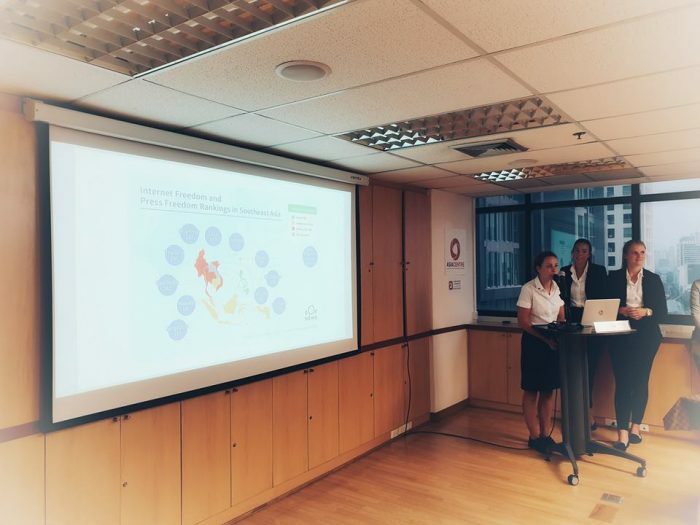 The IFC gave insight into how disinformation is incorporated in mainstream and social media platforms. Speakers from different disciplines presented on a variety of emerging issues and research areas. 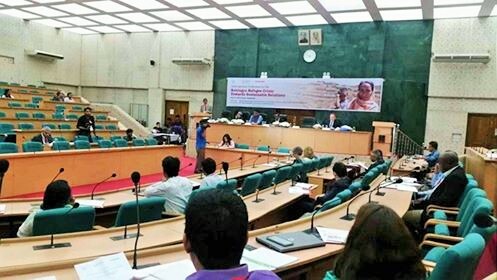 Oliver Thompson, the Centre’s research intern from Griffith University, Australia gave a brief overview about “The New Colombo Plan Scholarship” which gives Australian students the opportunity to undertake studies and internships in the Asia-Pacific. Maika Brouwer, Gaby von Picartz and Marit van Eeden from Stenden University presented on the nature and evolution of disinformation. They noted that disinformation is nothing new and continues to mislead the audience. The lower the press freedom in a region, the greater the chances of disinformation being spread. Disinformation is not something that can be solved but only limited. The best weapon against disinformation is knowledge and education. The inoculation theory helps people achieve resistance to persuasion. 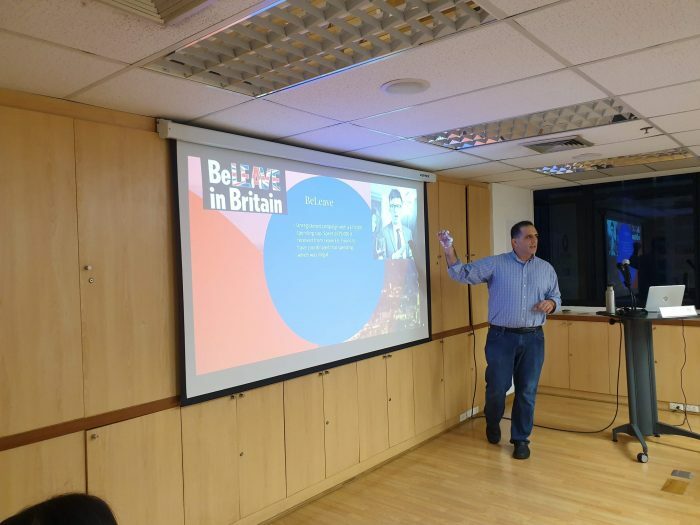 Chris Oestereich, a faculty member at Thammasat University’s School of Global Studies, shared some of the findings from his research regarding disinformation around the Brexit campaign, while also discussing legal and societal challenges those events uncovered. He provided a brief yet crisp history about how David Cameron called the EU referendum in the year 2016 and then resigned when the results came in and a list of the problems around Brexit disinformation. Chris is adamant that Facebook should take responsibility for all of its wrong-doings. He stated that with social media, we have built space to a new type of information war for which our governments are unprepared for. 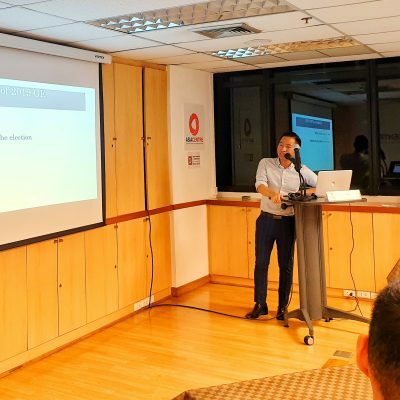 Yawee Butrkrawee, Asia Centre’s Programme Coordinator, spoke about disinformation in regard to Thai politics and the much anticipated elections. Yawee put forward his opinions on how disinformation could cause great political turmoil. Disinformation in politics is aimed at inflencing the minds of the voters causing them to change their votes. The low cost of circulating disinformation in social media has magnified this issue. Michael Picard, an independent researcher specialising in armed violence and arms control issues, provided a captivating talk about his research on firearms in South East Asia. He said that the Southeast Asian nations are among the largest procurers of small firearms with Thailand being the most thoroughly armed with almost 10 million guns in civilian hands. Thailand has a history of armed violence tied to political upheavals. Disinformation is deviling governments causing political unrest, generating violence. The Q&A session that followed the presentations deliberated on disinformation and its root causes. Broadly, the consensus was there really isn’t a solution to resolve disinformation but the situation isn’t completely hopeless. ‘Media Literacy” was seen as a crucial skill in the digital age. 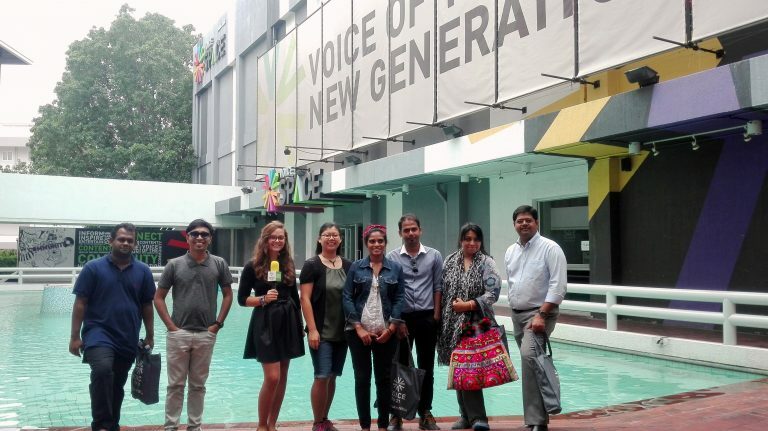 The influence of media should never be underestimated, hence it is important that the citizens of Southeast Asia and around the world should start climbing the ladder of media literacy. The IFC attracted over 40 participants from various disciplines. 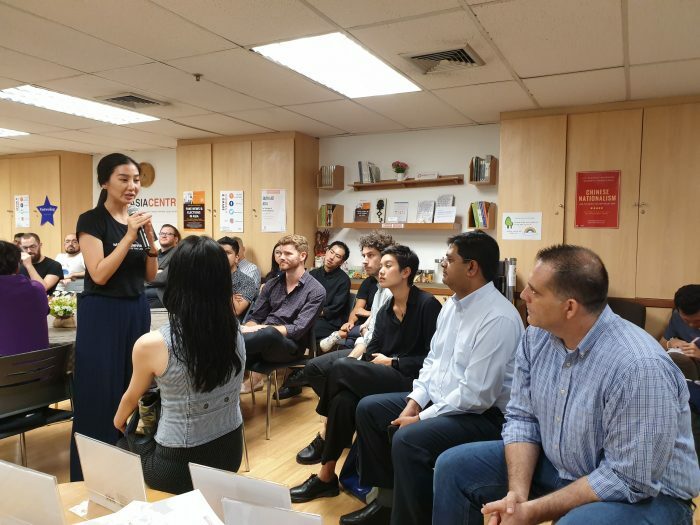 Asia Centre will continue to engage with the community through the IFC in 2019 and seek new, innovative research and projects being undertaken in Bangkok, the region and also globally. 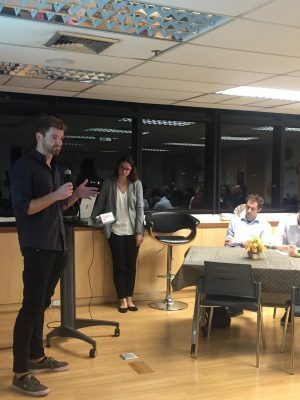 Upcoming events of the centre in Kuala Lumpur, Malaysia are The Fake News Industry: Developments in SEA & Malaysia on 16 April 2019 and in Bangkok, Thailand Asia Centre’s fourth anniversary “Nite for Rights” on 19 June 2019. The Centre will also hold the International Conference on Fake News and Elections in Asia. To submit abstracts email: contact@asiacentre.org. 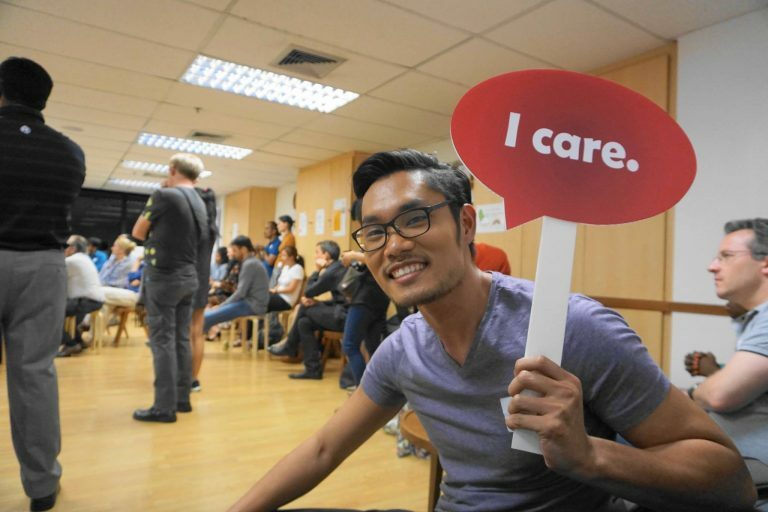 For more information visit Asia Centre’s website.